Why an Air Charter Experiences Lower Wait Times | Stratos Jet Charters, Inc. Wait time is the time an aircraft, crew and passengers wait on the tarmac for the departure of the next leg of the air charter itinerary. 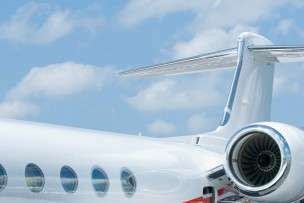 In general, private jet passengers experience lower wait times, both in frequency and duration, than commercial air travellers. This is due to a number of reasons. First, private jet travellers tend to fly in smaller groups and, therefore, are able to load the plane quicker. As a result, they’re able to stick to their scheduled departure time. Additionally, charter jets are typically smaller in size than most commercial aircraft. They require less room to maneuver and are able to taxi towards the runway more efficiently as a result. Air traffic controllers institute wait times to coordinate the smooth flow of traffic at an airport. This is particularly important at major airports, where many aircraft vie to access one of a few available runways. Wait time help relieve congestion on taxiways and ramps. To avoid lengthy wait times, many air charter travellers choose to use smaller airports where commercial air traffic congestion is less likely. Jet charter operators have access to roughly 10 times the number of airports as commercial airlines. Not only does this save time waiting at the airport, it allows private jet passengers to arrive closer to their intended destination.